Where can I play handball? 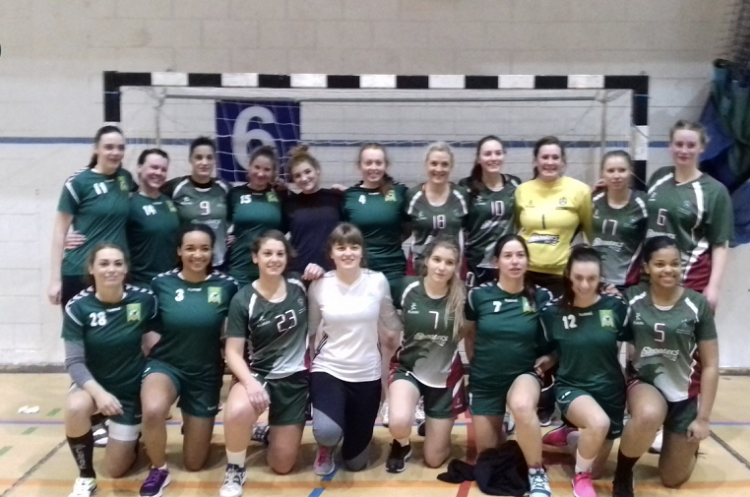 University of Leeds and Liverpool fought out a thriller in the Womens’ North Regional League in a match that finished 27-27. Both teams showed nothing but total commitment right up to the final second in an end-to-end match at the Richard Dunne centre in Bradford. In what was an excellent advert for regional league handball Sara Gonzales top scored for Leeds with six goals, while Liverpool’s Marta Tubucka beat the keeper 11 times and Judit Radnoti bagged six goals. Liverpool keeper Hannah Kempster also shone with three penalty saves. The results sees Liverpool keep their unbeaten record and stay top of the table, ahead of Newcastle Vikings on goal difference, although the North East side has played a match more. University of Leeds are in third, three points behind Newcastle, but also with a game in hand.